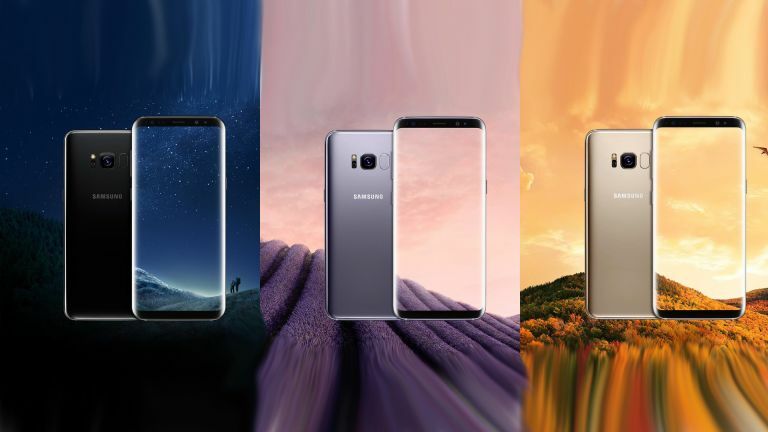 The Samsung Galaxy S8 has leaked again, this time showing off its many coloured forms that it will arrive with. That arrival is set for 29 March, hence the rumour mill really getting up to speed now. Yet another leak has sprung from the good ship Samsung with Evan Blass at the heart of it. This reliable leakster tweeted a photo showing what he claims are the many faces of the Samsung Galaxy S8. You can expect the Samsung Galaxy S8 to come in black sky, orchid grey and arctic silver colours as options at the very least. He then tweeted another photo showing of the Galaxy S8 in black, grey and gold versions. So we can expect lots of colour options but what else is there we should know? The rumour mill hasn’t left much for Samsung to reveal at its 29 March event. So far we’re expecting an S8 and an S8+ plus with up to a 6.2-inch Super AMOLED Quad HD+ screen that manages near 4K resolution and has rounded edges. There should be 12-megapixel Dual Pixel rear and 8-megapixel front cameras. Also expected is the power of a Qualcomm Snapdragon 835 processor, 4GB of RAM and IP68 water resistance. Plus, the Bixby AI virtual assistant. Samsung looks set to begin selling the Galaxy S8 and S8+ from 21 April globally. Check out more details at the link below.